The lipstick retails for Rs.1050. 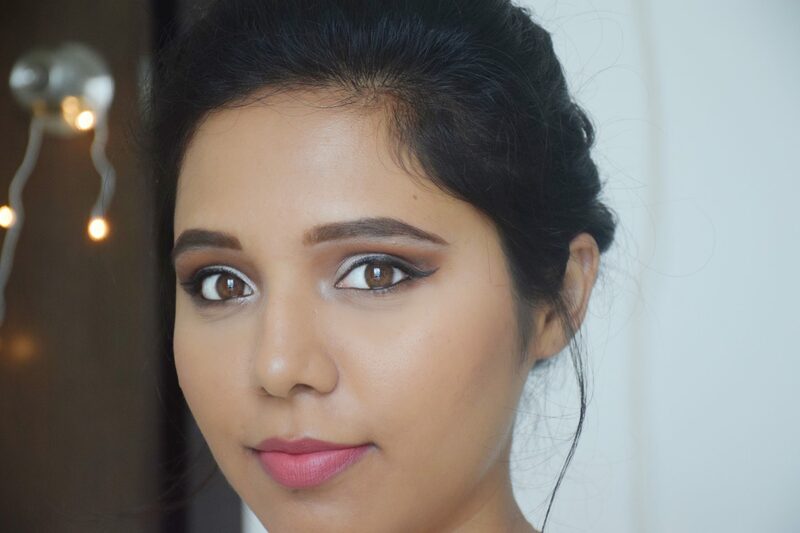 Kiko Milano products are available in their stores (selected cities) and on Nykaa. I got both from their stores, one in Mumbai and one in Pune. The shades I picked are 316 & 329. Shade 316 is a mauve with slight hints of peach in it while the shade 329 is a peachy-browny-red. Nykaa ( ⬅ clickable link) link for 329, couldn’t locate 316 there. Kiko Milano is known for quality product and classy packaging. The lipsticks come in a metal bullet with a magnetic cap. Oh Boy! I am smitten by this minimalistic yet super luxurious packaging. The texture of Kiko Milano Velvet Passion Matte Lipstick is very creamy and has a sweet fragrance. 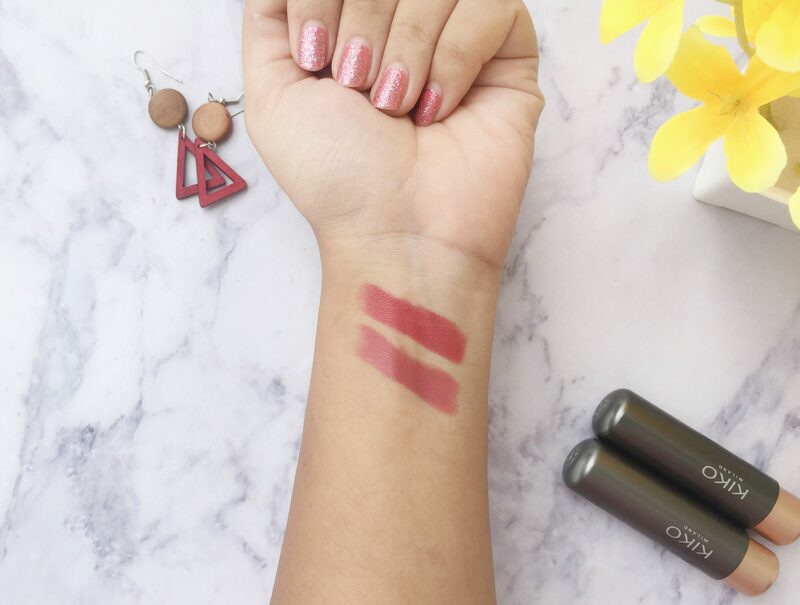 The lipstick glides on smoothly and you’ll need a couple of swipes to get full coverage. 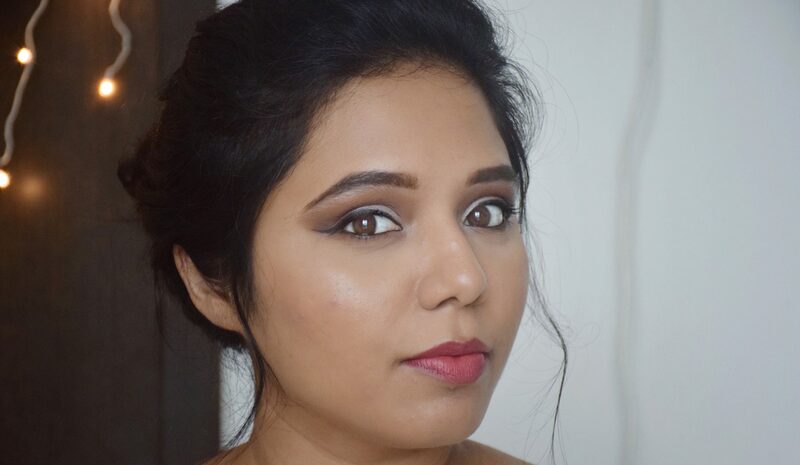 The finish is velvet matte and feels comfortable on the lips. If you don’t mind the price, I highly suggest you get a shade or two of Kiko Milano Velvet Passion Matte Lipstick. Trust me, it’s worth every single penny. These sound fabulous and I love the shades on you! 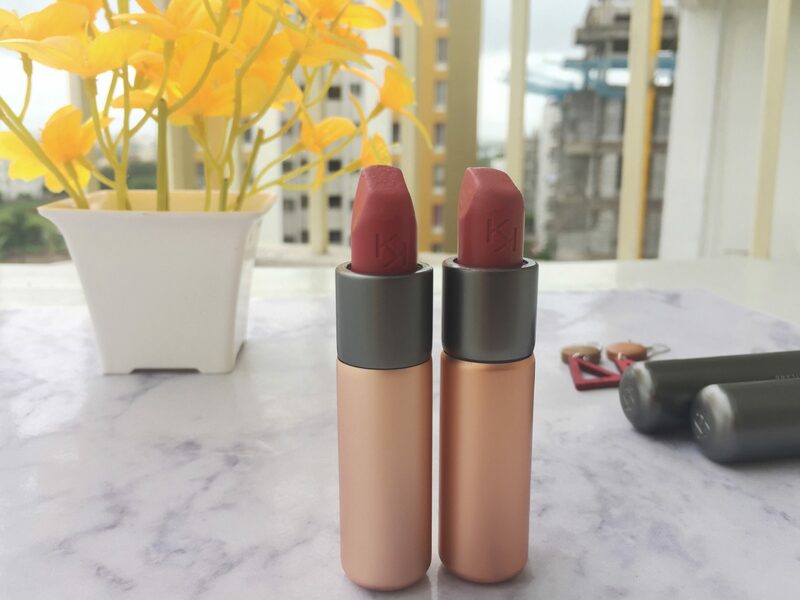 Both shades are pretty and i moatly reach for such muted shades… I love kiko lipsticks, i have 2 from the gold waves range..need to try thia rnge now..
I’m a “peachy-browny-red” kind of gal, mainly, because those colors seem to compliment my skin tone the best. I’ve been experimenting with some brighter colors, but I can’t seem to stay away from what I’m comfortable with.